In this day and age it’s still a challenge to provide the best attention to the elderly. The increased costs of attention services in care homes has been an incentive for community and in-home support programs aimed to assists old people who have a difficult time doing basic chores. The payoff of these courses is to teach elderly people to look out for themselves in the absence of a caretaker. Technology has made the job very easy, by helping introduce personal alarms for the elderly. For the family group who has an elderly member living on their own, a personal alarm is a way to keep an eye on them. However, the use of a personal alarm it’s not something that should be done lightly. If the elderly family member lives in a small community it might be wise to involve local authorities and social services about the use of personal alarms. These devices are little trackers designed with a GPS system with the elderly people in mind. Is powered by a roaming SIM card and it features a two-way communication system that sends text alerts when it’s being used. The device can also send an automatic signal when the user suffers a fall. It has a panic button located in the center of it that can send an immediate alert to programmed contacts. It’s water resistant, so the person wearing it can do so under the rain or in the shower. It’s small enough to be carried as a pendant around the neck or a key chain. It has a battery life of up to 7 days on stand-by. It’s an ideal tool for the elderly that lives alone and it’s able to look out for himself to do basic chores,like shopping at the store or go for a walk. 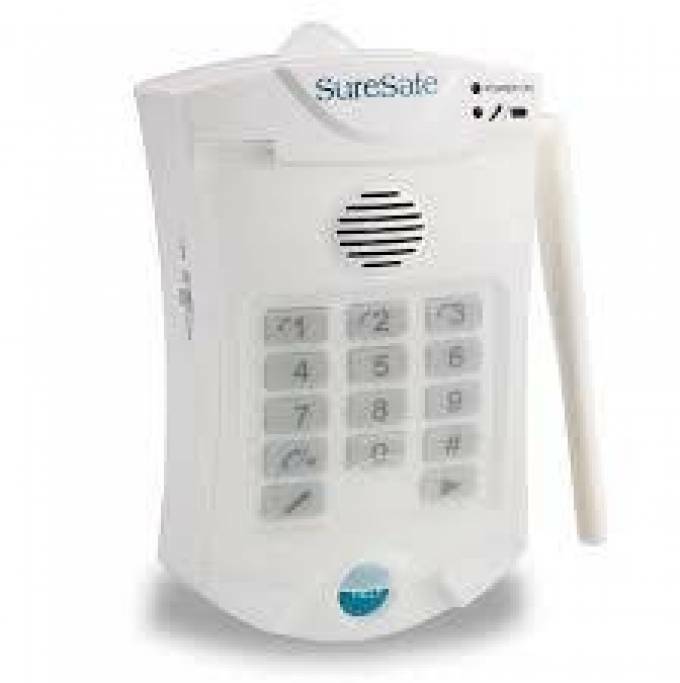 This type of alarm systems allows your relative to be monitored by an assistance center 24/7. It’s composed of a little communication console and a portable alarm or a wristwatch to send signals. It’s an ideal tool for the elderly who doesn’t have a close relative and might need frequent help with basic chores. The technology is designed to work in any place of the house where it’s set up, with an easy interface between the console and the tracking device provided with it. This allows for a quick time of response by the personnel of the response center of the contracted service. Among other features the consoles portable alarm has a reach of 150mts and do not require battery recharges in a 5-year period. It’s easy to set up and the user won’t rely on nominated contacts. Nowadays these Personal Alarms for the Elderly are NHS approved. And they are a big step on solving the hardships of tending an elderly relative in the distance. But no amount of technology can change the fact that these relatives still need human contact from time to time. So is best to complement your tech use with an occasional visit.